Built-in activities and smart notifications help you keep a healthy balance between work and life. 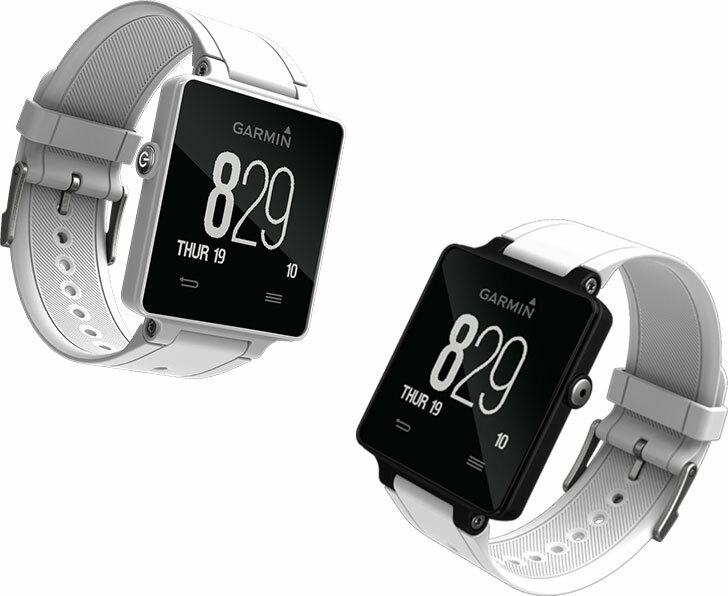 From the company that has been developing robust, dedicated wearable technology to improve training metrics for athletes for more than a decade comes the GPS smartwatch for the active lifestyle. Introducing vívoactive - the ultra-thin, lightweight smartwatch with built-in Garmin sports apps that you can wear every day to help you keep a healthy balance between work and life. Our built-in sports apps track your progress even when away from your phone. 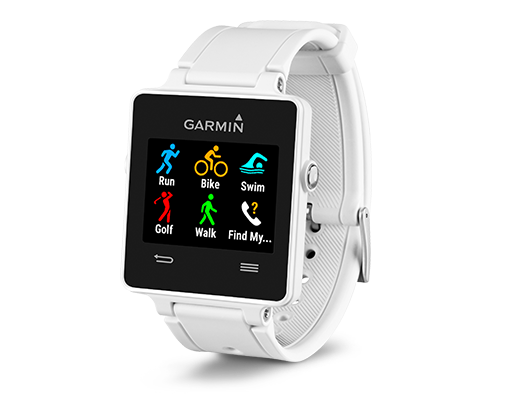 Simply swipe the screen to the options menu to choose among GPS-assisted running, golf and cycling apps plus swimming and activity tracking. View your stats even during outdoor workouts. 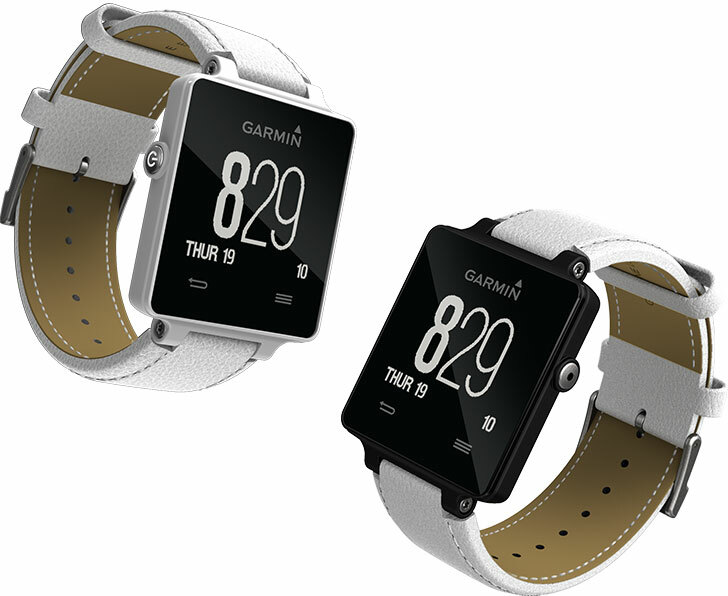 High-resolution colour touchscreen display stays readable in direct sunlight. 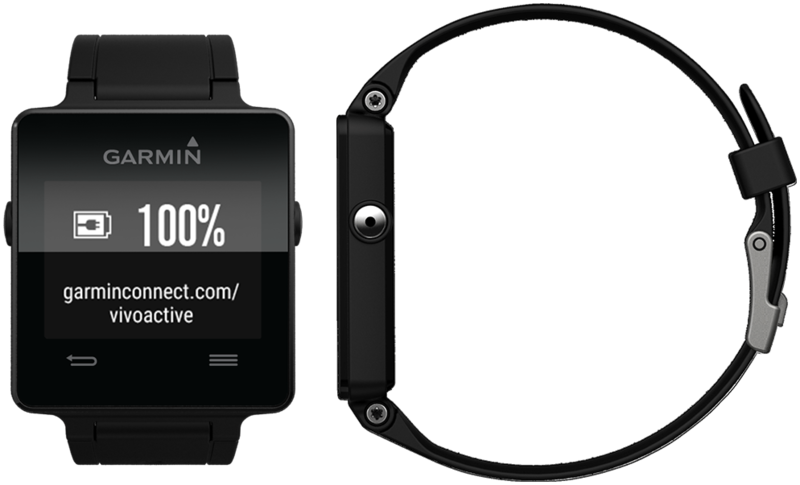 Stay connected with smartwatch technology1. vívoactive gently vibrates to alert you to incoming calls, texts, email and calendar reminders from your compatible Bluetooth®-enabled device2. Simply touch and swipe the screen to read more, or clear the screen with the press of a button. Personalise vívoactive with free downloads from Connect IQ on Garmin Connect™. 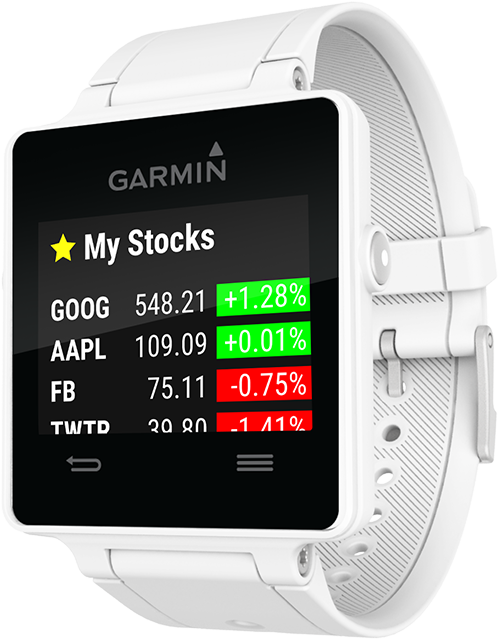 Add data fields and widgets that provide stats at a glance, boost functionality with additional apps and customise the display with a variety of watch face designs. 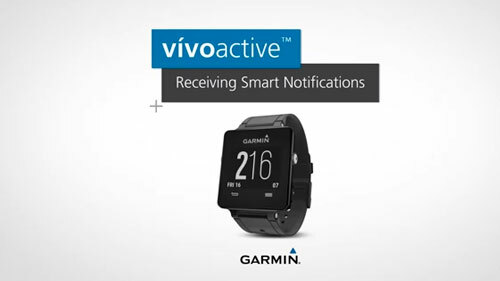 Lightweight and ultra-thin, vívoactive looks as appropriate in the office as on the golf course or on a run. The rechargeable battery lasts through all your activities with up to 3 weeks in watch/activity-tracking mode or up to 10 hours using GPS3, keeping the watch on your wrist and not on the charger. Water-resistance rating4 lets you sweat, swim and shower with it on. At Garmin Connect, you can track your progress, and earn virtual badges for extra motivation. You can also join online challenges and connect, compete and compare with friends and family around the world. Garmin Connect is available on your computer or compatible mobile device2. 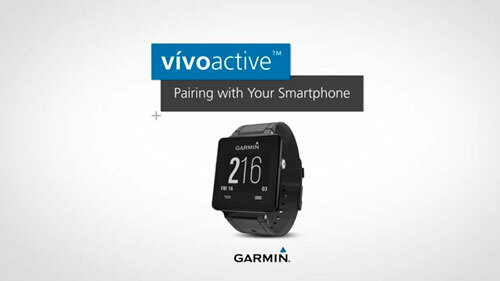 vívoactive is available in basic black or white to match your philosophy of style. 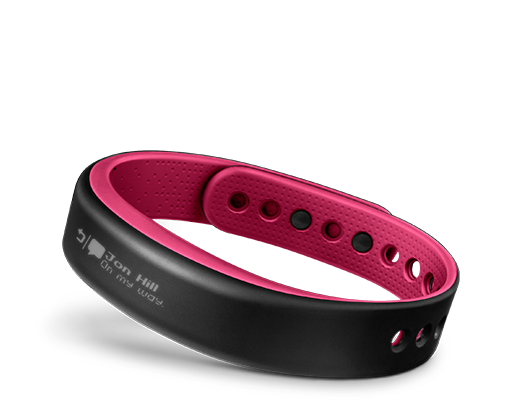 Additional bands – which can be swapped out – come in 5 colours. Dress up your device with the leather option available in both black and white. 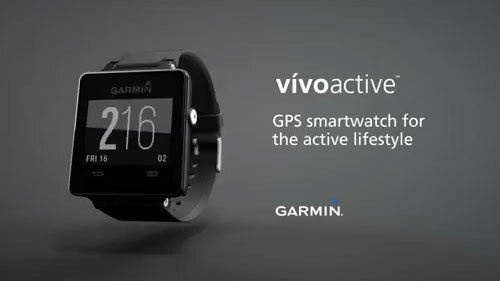 vívoactive features built-in sports apps that track your stats - even when away from your phone. Uses GPS to capture essential running data. 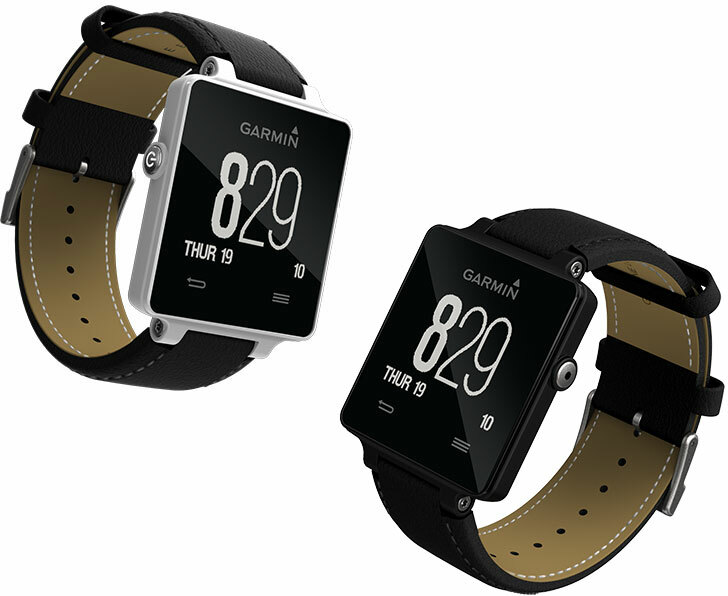 Built-in accelerometer and wrist-based speed and cadence trackers. The GPS-enabled cycling app measures time, distance, speed and calories. 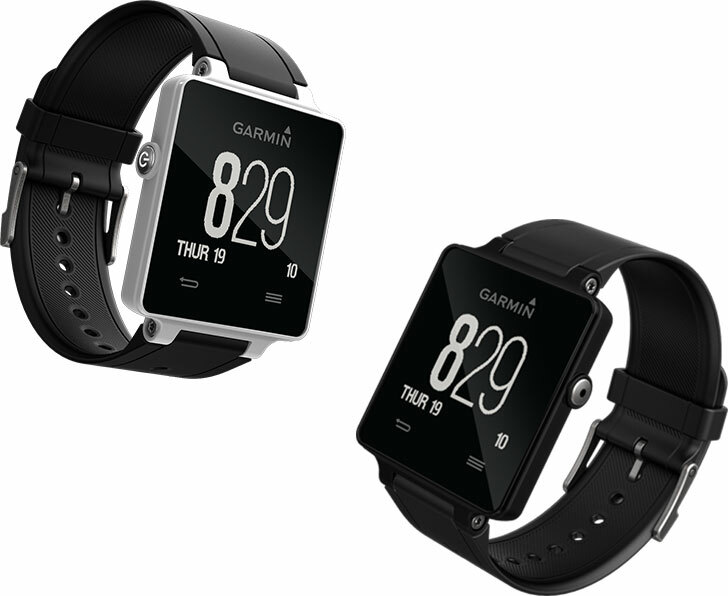 Compatible with sensors² such as speed, cadence and heart rate monitors to measure your progress. Download course maps from our golf course database - with more than 38,000 courses worldwide - to play favourite and new courses. The thin profile cuts through the water, and its 5 ATM water rating means you can swim, sweat and shower with it on, worry-free. vívoactive follows your progress even when you’re not engaged in a specific activity. 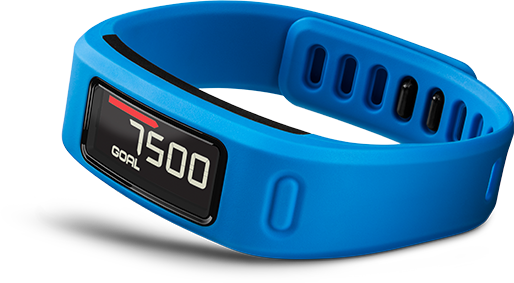 The activity tracking app tracks your steps to learn your activity level, then assigns an attainable daily step count goal. vívoactive gently vibrates to alert you to all the same notifications you receive on your compatible Bluetooth-enabled device4. vívoactive lets you control the tunes on your music player, locate your phone and let your friends and family track your activities in real time with Live Track. You can also remotely control your VIRB® Elite action camera. Personalise vívoactive with free downloads from our Connect IQ store. 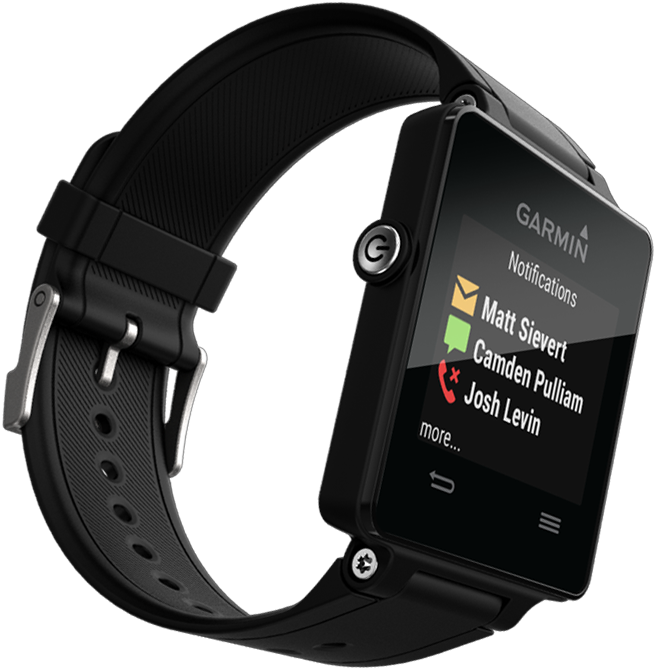 You can customise your watch face, add data fields and get apps and widgets that provide information at a glance. Stay up to date on your progress for each of the built-in activities with automatic syncs with Garmin Connect Mobile. You can earn virtual badges for extra motivation, join online challenges and connect, compete and compare with friends and family around the world. 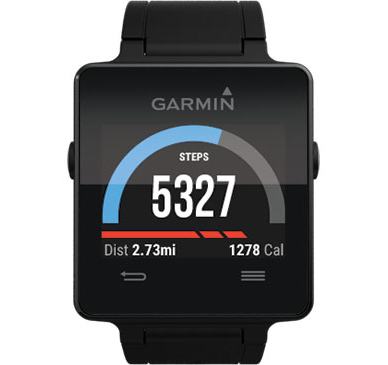 View your history and stats right on the smartwatch. 4Compatible with iPhone® 4S or later and most Bluetooth® Smart-capable Android™ devices (Android 4.3+ required). iPhone is a trademark of Apple Inc. Android is a trademark of Google Inc.